The tracked MF300C is a transport and conveying system which is used as a non contact connecting element between road finishing machines and transport vehicles for carrying mixed goods. 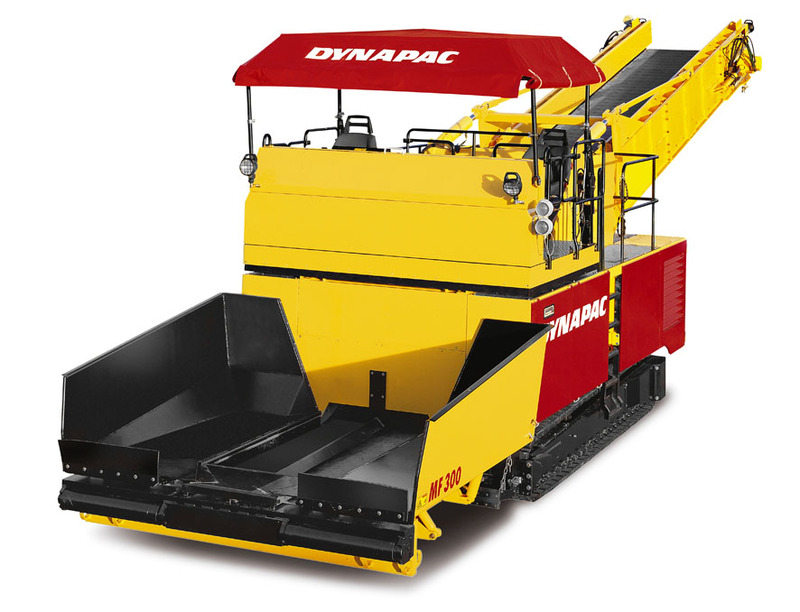 This completely equipped machine has mainly been developed for use in the Compactasphalt™ system and is also suitable to feed big pavers working at max. paving width. The automatically controlled conveyor can be lifted to a height of up to 5,0 m and the standard hopper size of 8,0 m³ can be enlarged to 45 t by use of a hopper insert. For an optimised view to the paver and the lorry the operator´s station can be lifted by appr. 1,0 m and the seats on both sides can be moved outwards. Eager to see the schematics of MF300C?